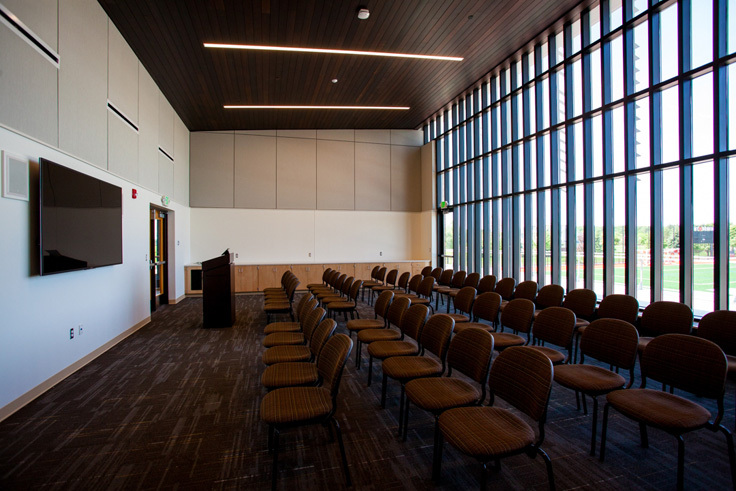 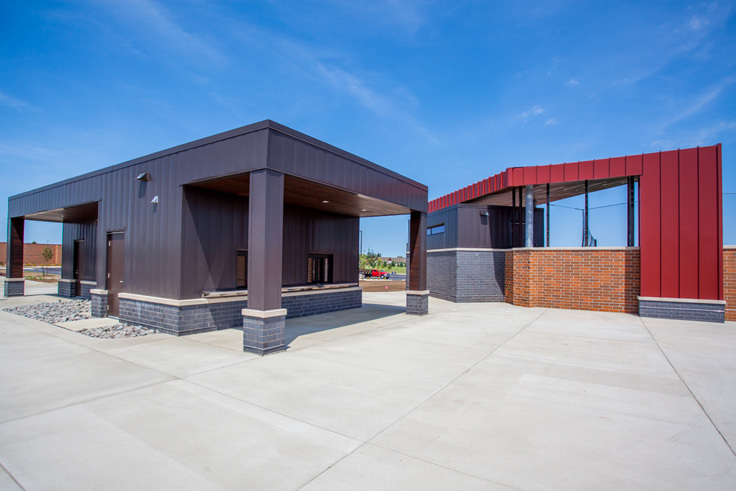 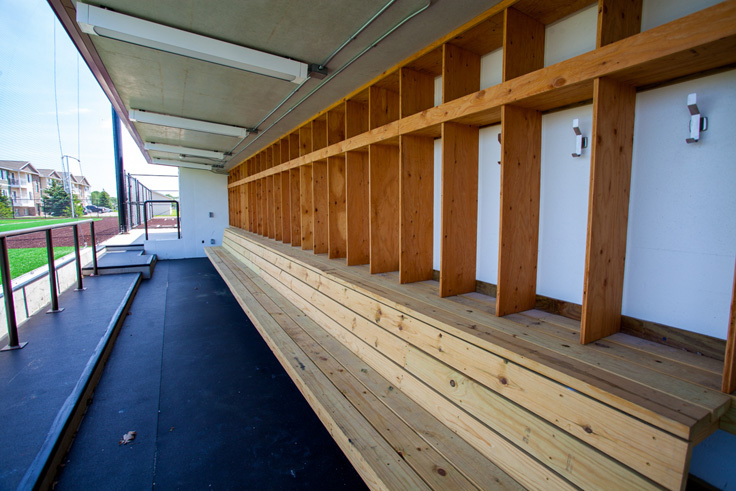 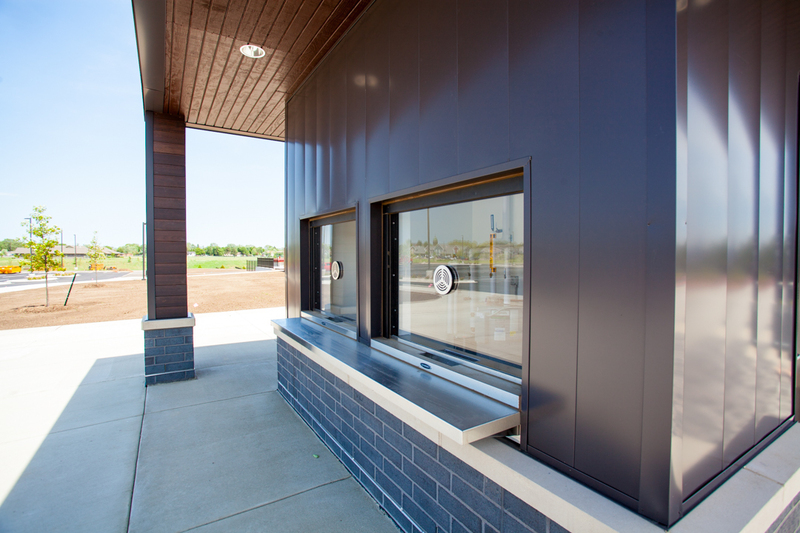 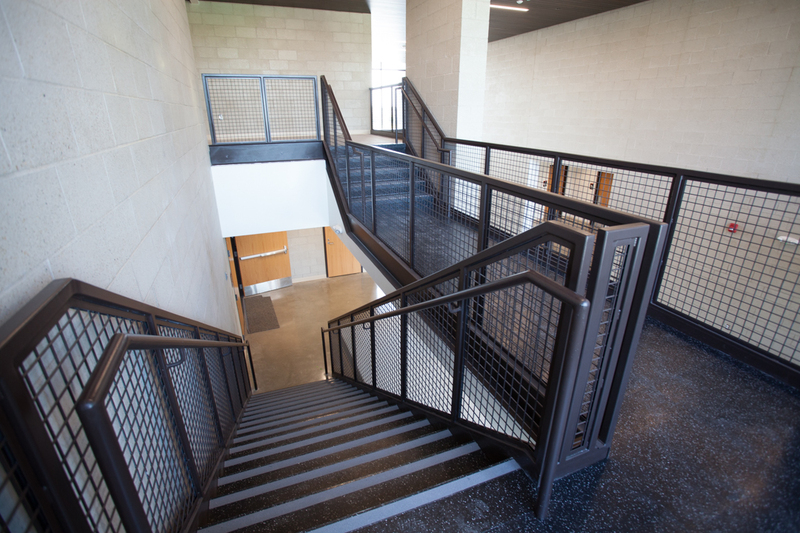 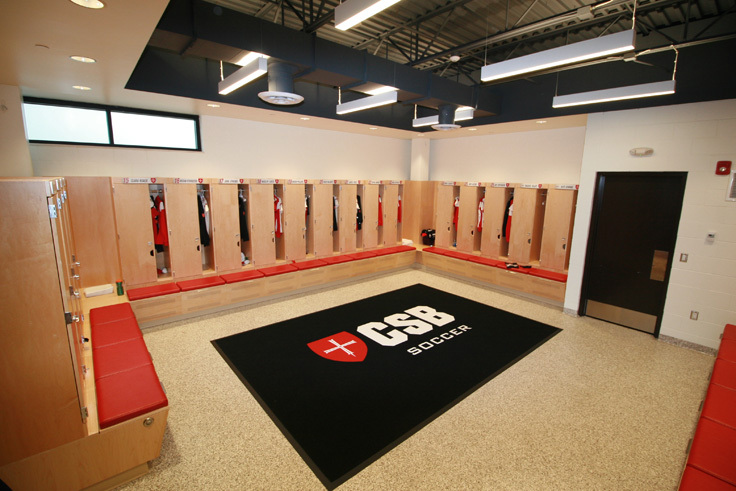 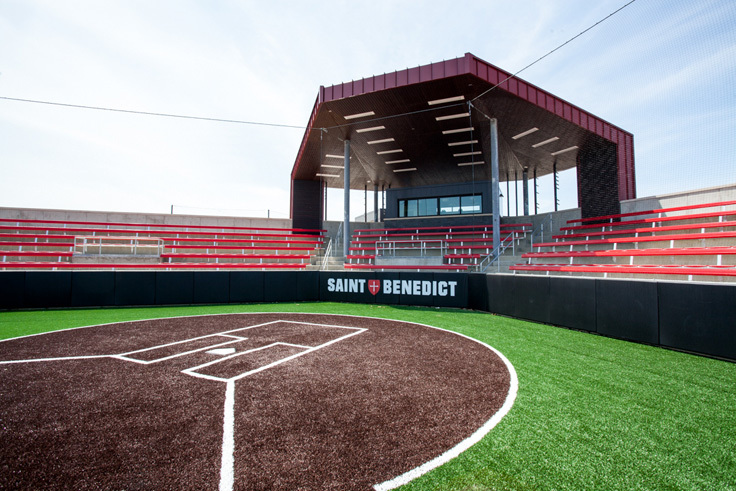 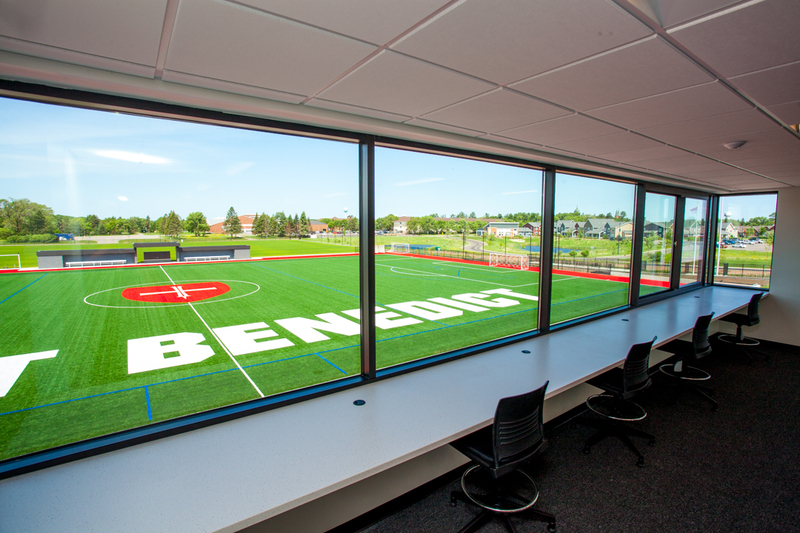 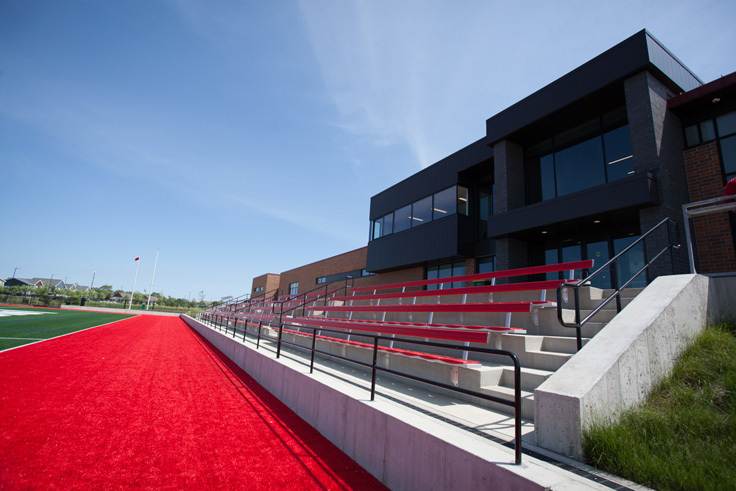 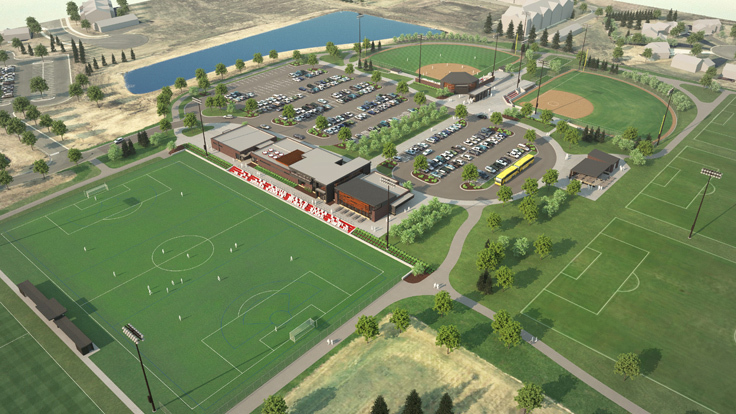 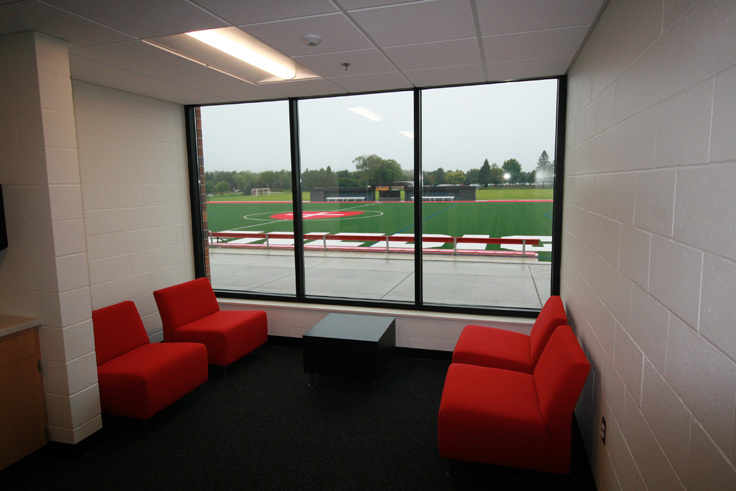 The project consists of a full athletic complex for the College of Saint Benedicts in St Joseph, Minnesota. 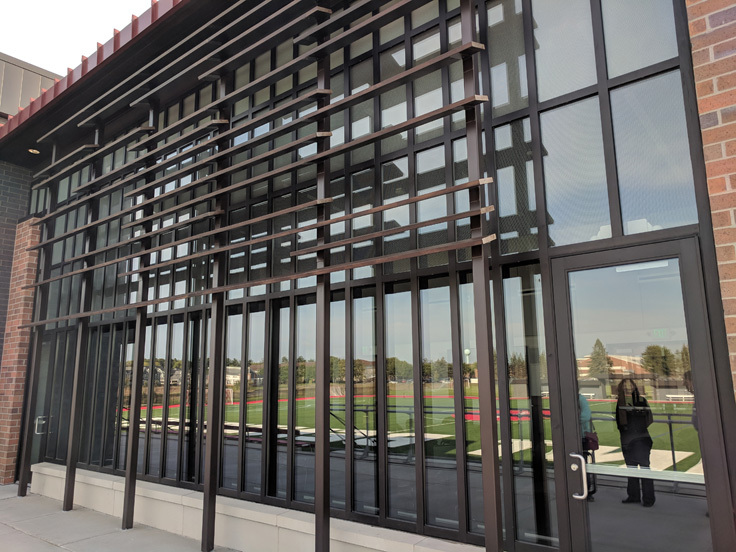 The main building is a 16,500sf athletics building with locker rooms, training facility, classrooms, pressbox, concessions and large gathering space. 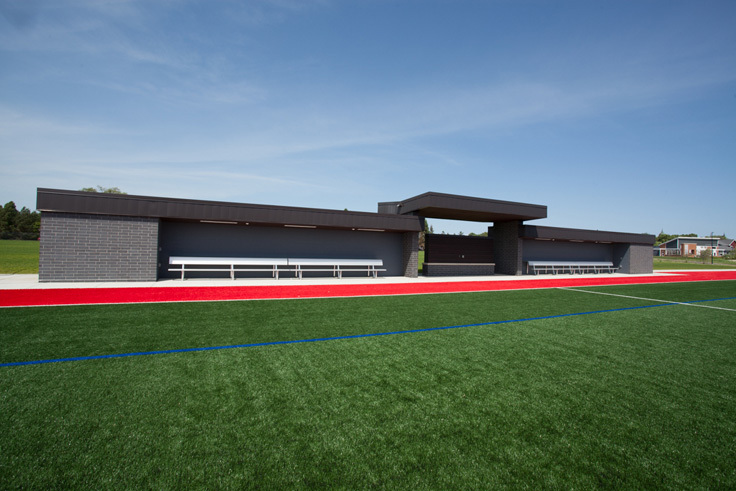 Other spaces on the site include a 500 person grandstand with pressbox, and additional satellite concessions building, and a soccer dugout.